If the first day of the ANC's NGC was dominated by issues around corruption, the "Premier League", and what President Jacob Zuma said was a massive decline in membership figures, Day Two saw a return to the ANC's past form. The economy is "white-owned", some of our members are corrupt because they "inherited a corrupt system", the membership debate is "hysterical" and the West is, of course, against us; nothing we haven't heard before. By STEPHEN GROOTES. On Friday both Zuma and ANC secretary general Gwede Mantashe went into detail about the number of members their party actually has. They said that their membership had declined from 1.22 million in 2012, to around 770,000 today. That was the cue for anguished introspection, claims about “gate-keeping” and suggestions of factionalism. 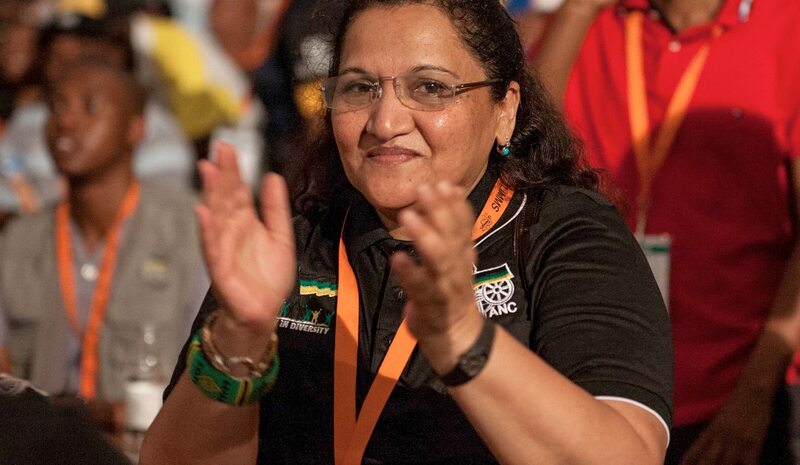 But then, on Saturday, ANC deputy secretary general Jessie Duarte gave an interview to Eyewitness News, in which she had a very different story to tell. She says that in fact, if you go through the ANC’s database, you’ll see one point three million members, that it’s actually gone up since Mangaung in 2012. It’s pretty difficult, at this sleep-forsaken point, to understand what is actually going on here. Surely Duarte knew about the Political Report and the Organisational Report, and would have been able to explain this before Zuma and Mantashe went public? If not, there’s a much bigger story going on. Or perhaps the party isn’t happy with how the membership story has been played in the media, and is trying to dial it back. No matter. What this really tells us is that there are Mantashe’s membership figures, Duarte’s membership figures, and different stories to tell. It is now obvious that many people who were claimed as members before Mangaung were not really active members, but were used simply for voting purposes. It is a dynamic which has occurred many times in the ANC, and is bound to happen again, just before the next conference. All it proves, is that the membership figures are a farce, and that it is all manipulated by those who can. In other words, in whichever way it will favour the incumbent. Formally, the first public event was a speech to the Progressive Business Forum by ANC policy head Jeff Radebe. First, he had to sit through a politically tone-deaf speech by the Lord Mayor of London, Alderman Alan Yarrow. The moment in which he pointed out that South Africa and the UK had a long history of “collaboration” was spectacularly ironic… it wasn’t collaboration Lord Mayor, it was colonisation. He also claimed that the relationship between the UK and South Africa was improving. Someone please read the ANC foreign policy documents to the Lord Mayor? Once Radebe got going, it was all about inequality. We won’t have economic development, he said, unless there is proper agreement about how to deal with this issue. He went further, saying that business “could lose its moral license to operate” from society, unless it dealt properly with inequality, though he didn’t then suggest the measurement model or what could be done about it in a real life. Interestingly, Radebe did explain that the reason we have had such low economic growth wasn’t just because of the global economic slowdown and the bottom of the commodity cycle. He said it was also because of our domestic constraints, including strikes, energy and electricity issues and disruptions more generally. That’s a slightly different explanation to some of his ANC colleagues, who mostly blame the EU and the US for the global slowdown. After a hearty, if bacon-less breakfast, Nathi Mthetwa rocked up in the main media centre (which, as tradition demands, is as far away as it is possible to be from any delegates) to brief about the “balance of forces” discussion last night. He, and others, seem to believe that this is a good moment for the “progressive forces to challenge the status quo”, because African economies are growing strongly, while other economies are not. There was much time spent on how we need to strengthen our relationship with the Brics countries, and how there could be an alternative to the western consensus. At one point, there was the usual repeated complaint that the United Nations is not properly democratic. Which is clearly more important than the human rights violations, lack of freedom of expression, or even democracy itself, in our Brics partners, like China and Russia. And no, there was no explanation about how it can be easy to cosy up to Bejing and Moscow economically, and yet claim that we are on the side of freedom and democracy. Missing from the briefing entirely, the Dalai Lama. But, while the ANC in general, and Mthethwa in particular, may be happy to deliver our mortal soul to our nuclear and economic partners, it is simply not for sale when the Private Security Industry Amendment Bill came up for discussion. Recent weeks have seen US politicians threaten to withhold certain trading agreements, and to block loans toSouth Africa from the World Bank over this issue. They see the demand that all private security companies operating here be 51% owned by South Africans as an expropriation. Financially speaking, it frankly is. Mthethwa says that “national sovereignty is sacrosanct”. He complained that these threats show how “these institutions have always been run”, that any loans come with certain conditions. He suggests that we look to the Brics bank instead for any funding we might need. As the Police Minister who first introduced this bill, he still hasn’t explained why he believes a slight change in ownership of a security company, from say 49% to 51% may change the behaviour of its employees. All of whom are South Africans in the first place. But for him, it’s a matter of principle.